JOHN GIBSON had 32 saves in goal for the Anaheim Ducks in their 3-2 loss Saturday to the San Jose Sharks (Photo by Bridget Samuels). The Anaheim Ducks lost 3-2 to the San Jose Sharks Saturday at Honda Center and fell behind 2-0 in the first round of the NHL Stanley Cup playoffs. Now the series goes up north where with the Orange County team two games from elimination. Hampus Lindholm and Jakob Silfverberg scored for the Ducks, but after falling behind by one goal, they were unable to find the equalizer in the scoreless third period. 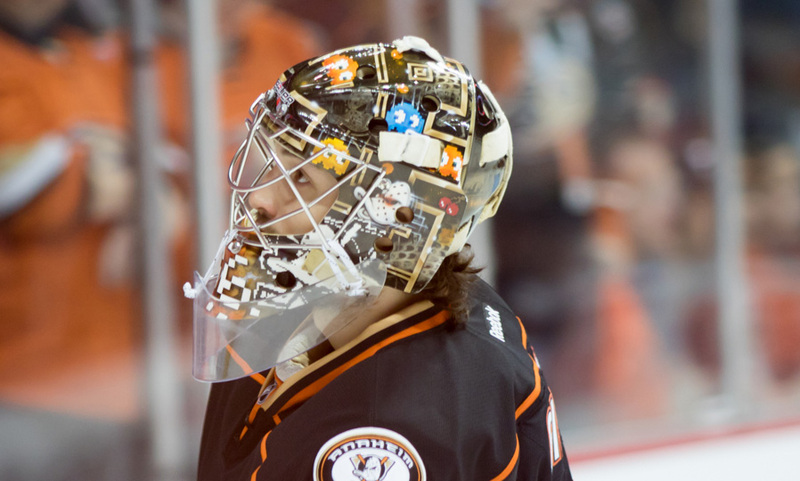 John Gibson kept the Ducks close with 32 saves in goal. The third game will be on Monday in San Jose, and the fourth on Wednesday, both at SAP Center.